A graceful display of Plumerias in a contemporary vase. 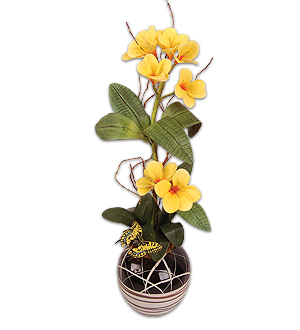 Choice of Plumeria in yellow,pink and white. Measures 60cm.